Being a teenager is hard for almost everyone. Yet something I’ve noticed is the root of our teenage problems carry on well into adulthood. Jordan Hanks is an especially insightful teenager. She loves Jesus and it is impossible to not to smile around Jordan. I’m so pleased to have Jordan share on my blog today. In this season of life, I’ve struggled with waiting. Not waiting in line at American Eagle, not waiting for a red light to turn green, not waiting for my mom to finish dinner, but waiting on God. Waiting has become so difficult because, as a teenager, I’m accustomed to instant messaging, microwave meals, and so many other things. Thus, when God calls me to be patient, I find it extremely hard. When God closes a door on a job or a door on a relationship, I’m left in the hallway of wait. This hallway is a frustrating place and not ideal for anyone (teens especially). So badly I want to throw my fists into the walls and scuff my heels on the floor; I want there to be a new person, a new job, SOMETHING, to fill the void that this closed-door has left me with. I’m trapped in this hallway with these doors that are labeled “no” and I feel upset. This hallway of wait is not a fun place, but I know I still need to obey God when I’m feeling trapped. Behind each door God has closed is something that would stunt my spiritual growth or hurt me. I urge myself to rejoice and be glad that God has chosen to close this door and force me into this time of wait, but it’s not always that simple. When I’m trapped in this hallway, I am forced to wait, to be patient, and follow Him. So badly do I want God to get me out. However, God asks me to follow Him, to not run ahead of Him. When He approached His 12 disciples, He asked them to “follow me” (Matthew 4:19), not “follow me and run ahead when you don’t get your way immediately”. In this hallway of wait, I have to choose to rejoice and dance and be grateful that God is keeping me from things I want-these opportunities and relationships I want to pursue. I regain my hope and am refreshed when He reminds me in Jeremiah 29:11 that He keeps me from these interests “not to harm me, but to give me hope and a future.” I know He uses this hallway of wait not to test my patience, but to refresh my spiritually famished soul, to cleanse me, to restore me, and grow me. Once He’s done, I’ll able to walk through the doors He chooses to open for me. But until then, I have to exercise my patience and trust that God is protecting me. After all, being in God’s will is the safest place to be. Even after writing this, I know I will continue to struggle with wait because my plan will not always match up with God’s will! Yet, I am comforted in knowing that Christ died because He knew that my desires would not always be the same as His and that His children would struggle with this very sin. How grateful I am that God has planned ahead to protect me and keep my best interests in mind! Even when we feel “trapped by God” we must obey Him and trust His view on the bigger picture. Question: What piece of advice would you share with an amazing young woman like Jordan? 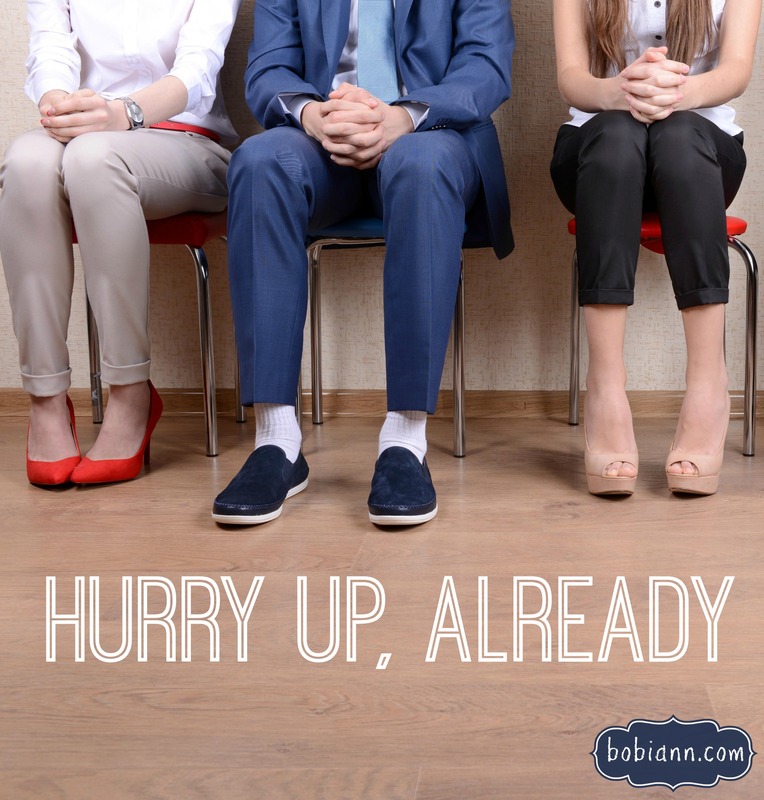 What have you learned about waiting on God?